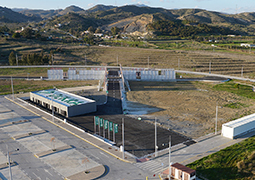 International expert organization DEKRA and Connected Autonomous Vehicle (CAV) technology leader Cohda Wireless partner in DEKRA's connected car test area, part of its international network for connected, automated and electric driving. Among others, Cohda Wireless supplies its MK5 hardware and V2X applications for use in the Malaga test area. At its connected car test area, DEKRA exercises connected car scenarios using V2X beacons as well as safety applications provided by Cohda Wireless for among others forward collision warnings, 'heavy breaking ahead', intersection collision warnings and road-side infrastructure warnings. Cohda Wireless supplies, among others, wireless On-Board Units, a software ecosystem and various other applications. "Cohda Wireless and DEKRA share a common vision to make our roads safer, around the world. It is only logical to partner with an organization that matches our DNA," Paul Gray, CEO at Cohda Wireless. "With our customers we see a clear need to move beyond basic connectivity testing to end-to-end application testing. Cohda Wireless has proven to be a reliable partner in the past and shares the same vision," Joaquin Torrecilla, Chief Technology Officer at DEKRA. DEKRA's connected car test area, open since end 2017, is focused on R&D and early production testing for connected car applications. It replicates real as well as simulated infrastructure elements and vehicles allowing for comprehensive testing of connected car functionalities and V2X technologies. In addition, DEKRA recently obtained the ISO 17025 accreditation for car safety technology eCall, ERA/GLONASS for testing in the lab and at customer premises, WAVE (Wireless Access in Vehicular Environments), and IEEE802.11p. DEKRA was also recognized to provide testing and type approval services for eCall according to regulation EU 2017/79. Do you want to know more? Get in touch at wireless.global.es@dekra.com or go to www.dekra-product-safety.com/connected-car.